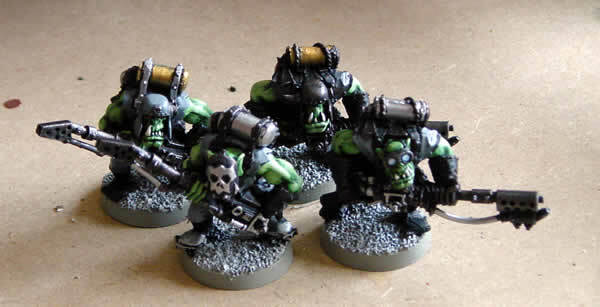 I really like these models, and they are very in character for any Ork army. Bases to fit in with the snow based theme and Cityfight games are done in Codex Grey before drybrushing with Skull White. 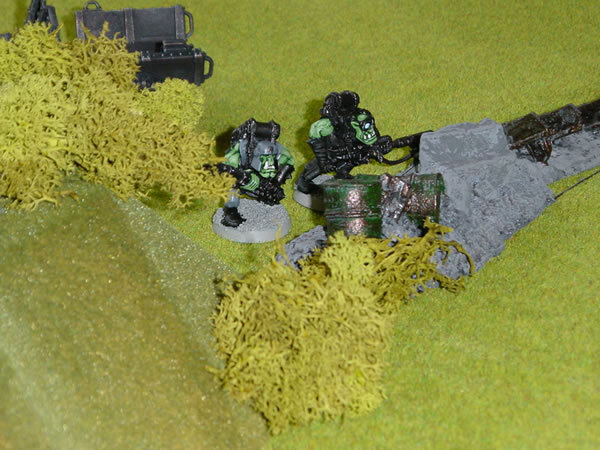 These are partially finished Burnaboyz in a game (gasp unpainted miniatures).